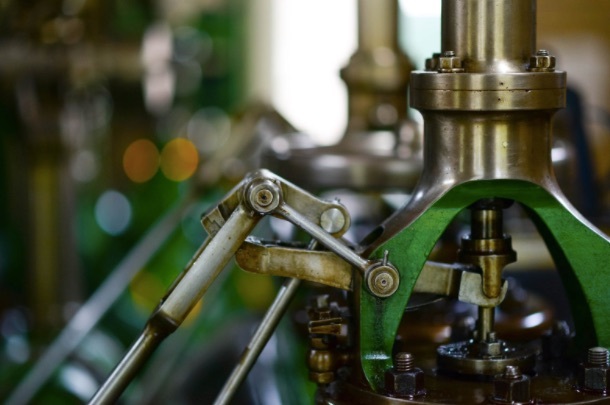 A couple of years ago, it seemed as though every business in the manufacturing industry was eager to stop being an analogue machine in a digital world. There were a huge variety of ideas and concepts that were set to take manufacturing into the future. These days, those concepts seem to have come to a standstill, and that’s a problem because if the manufacturing world doesn’t change and evolve soon, it will ultimately perish. At least, a number of small manufacturing firms will cease to exist. So, what steps need to be taken to bring the manufacturing industry back to the future? Manufacturing isn’t the most inefficient business on the market today, but it’s certainly not the least either. As such, changes do need to be made in this area. One of the issues of manufacturing is that you are constantly playing with a massive number of materials and using heavy materials that do, on some level, damage the planet. It’s a problem, but not one without a solution. There are plenty of ways that a manufacturing firm can be set up to be more eco-friendly. One of the possibilities would be to use the waste products that are being produced. If one of the main materials used in your manufacturing firm is wood, then you will have a heavy supply of wood chippings. These can be crushed down to form a biofuel that can then be sold. As such, you can get a double benefit of going green and gaining a secondary income source. One of the biggest issues facing local manufacturers right now is a slow down in production rates. Companies are constantly looking for businesses that can produce products at a faster rate and make sure that they do not have to face a delay when waiting for a product. Well, that won’t be the case if you invest in the latest equipment from suppliers like Mills CNC. Companies like this are constantly producing CNC machines that can make products faster than before without any delays. It’s exactly what you need to keep in mind when you are expanding and growing your manufacturing firm. You might also want to think about what processes you should be completing in your manufacturing business. Perhaps right now you are creating a product from scratch to reach the final point when it is ready to be sold on the market. But is this the fastest and most effective way to make a profit? A lot of manufacturing companies today are starting to realize that specialisation is a better business model. By doing this, your firm focuses on completing one process in the entire production. Fewer machines are used, less energy is needed, there’s limited amounts of waste, and you will be providing a vital service that companies on the market desperately need. We hope you can see that manufacturers do need to start looking at ways to reshape and reinvent this industry. Or the entire sector could come tumbling down. Best Practices For Your Warehouse	Can You Still Grow Your Business Despite Brexit?